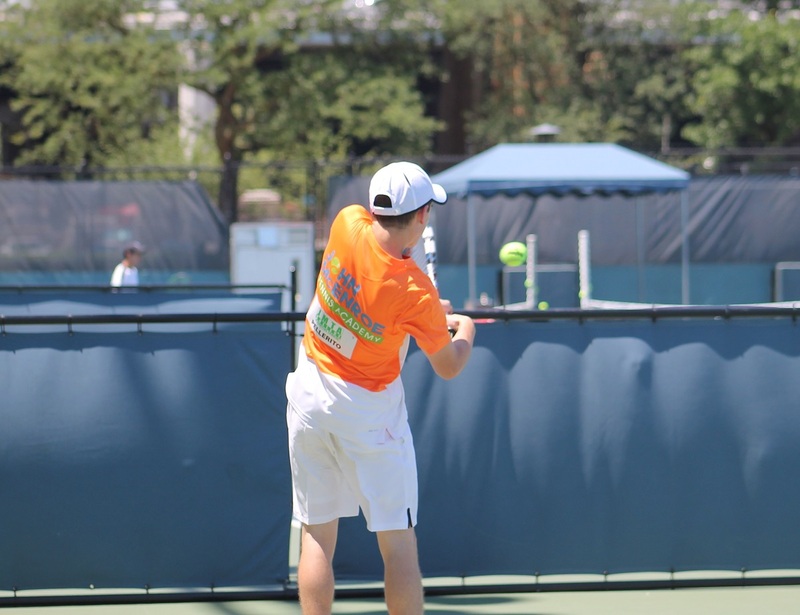 Helping young athletes attend the colleges of their choice, on full tennis scholarships whenever possible, is a primary goal of SPORTIME and of the John McEnroe Tennis Academy (JMTA). Today, the Academy announced the dates for the fourth annual John McEnroe Tennis Academy College Recruiting Combine. The event is scheduled for the weekend of June 22‐23 and will be held at SPORTIME Randall's Island, the NYC home of JMTA. The Combine, a big success in each of the past three summers, will again give select rising high school sophomores, juniors and seniors, from around the country and beyond, JMTA students and non‐JMTA students, the opportunity to showcase their technical and tactical tennis skills, as well as their athletic abilities and mental toughness, in front of coaches from top colleges and universities. Just as in the past three summers, coaches representing all three NCAA Divisions are expected to attend, and this year’s commitments have been more impressive than ever, including coaches from Brown, Baylor, Cornell, Dartmouth, Penn State, William & Mary, Wake Forest, and many other top programs, with many more coming. Representatives from prestigious leagues including the Ivy League, ACC, Big East, SEC, Big 10, Patriot League and NESCAC attended last year, and are expected again this year. Interested players can get more information and apply to participate in the Combine at www.SportimeNY.com/JMTACombine. Combine applications will be accepted from March 16 through June 1 for the 120 Combine spots available, for 60 boys and 60 girls. The Combine Selection Committee will evaluate each application based upon objective criteria, and applicants will be informed of their status as “admitted” or “wait‐listed”. Those who are wait‐listed will be contacted if they are, subsequently, admitted. Player check‐in will begin at 8:00 a.m. for all players on both Combine days. Participants will compete in singles and doubles match play with tracked results. Players will also receive athletic performance assessments, and will be invited to take part in the Sports Vision Testing and in a College Coaches’ Panel Discussion. One of our Combine partners, Tennis Analytics, will be video‐recording all matches and will offer participant packages, including match videos with detailed analytics, which videos will be available for participants to send directly to college coaches. Included for each Combine participant is an integrated recruiting package, available, digitally, to both participants and the coaches, at the touch of a button on their personal Player Portals. For further details, visit www.SportimeNY.com/JMTACombine or email jmtacombine@sportimeny.com.